Lin Bo'en was an elder at a house church in China. During all his years as a believer, he felt honored to suffer for the Lord, and valued the knowledge and attainment of the Lord Jesus Christ above anything else in the world. One fateful day, he went out to preach and heard some shocking news: The Lord Jesus has returned in the flesh, and He is Christ of the last days—Almighty God! Lin Bo'en was puzzled. When the Lord returns, He is supposed to descend with the clouds, so why would He incarnate Himself and do His work in secret? What mysteries were hidden behind God's incarnation? If the Lord has truly returned, why haven't we been raptured? 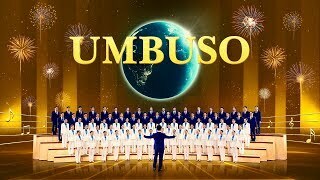 … An intense debate unfolds between Lin Bo'en and his co-workers and the preachers from the Church of Almighty God … Will they finally be able to understand that Almighty God is the return of the Lord Jesus, the appearance of God in the flesh? 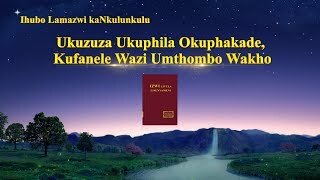 Unyazi LwaseMpumalanga, IBandla likaNkulunkulu uSomandla lasungulwa ngenxa yokuvela nomsebenzi kaNkulunkulu uSomandla, ukubuya kwesibili kweNkosi uJesu, uKristu wezinsuku zokugcina. 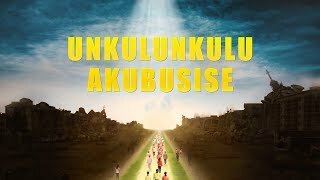 Lasungulwa ngokuphelele nguNkulunkulu uSomandla ngokwakhe, nakanjani alisungulwanga umuntu. 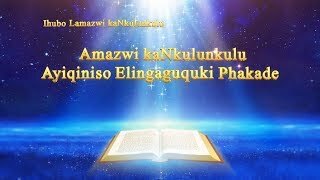 Namuhla, amazwi kaNkulunkulu uSomandla, amavidiyo evangeli,amahubo endumiso nokunye sekusabalele umhlaba wonke kwinethiwekhi. 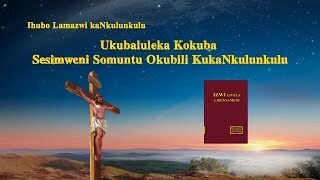 Izimvu zikaNkulunkulu ziyalizwa iphimbo likaNkulunkulu. 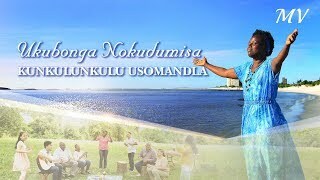 Uma uhlala ufunda amazwi kaNkulunkulu uSomandla, uzobona ukuba uNkulunkulu usevelile! 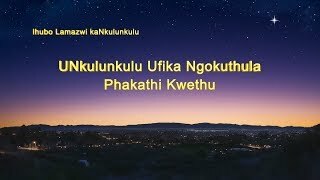 Isitatimende esikhethekile: Ukukhiqizwa kwalevidiyo kwenziwe njengesiqephu esingangesi nzuzo seBandla likaNkulunkulu uSomandla. Abalingisi abavela kulomukhiqizo basebenza ngaphansi kohlelo lokungenisa inzuzo, kanti futhi abakhokhelwanga noma ingayiphi indlela. 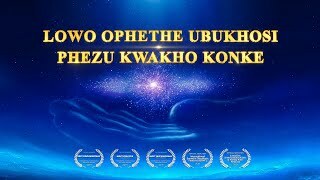 Le vidiyo akumele isakazelwe inzuzo kunoma iyiphi inhlangano yyesithathu, futhi siyathemba ukuthi wonke umuntu uzokwabela abanye ayisakaze ngokuvulelekile. 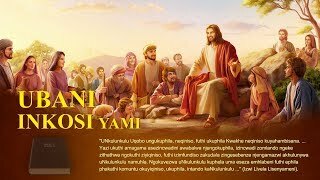 Uma uyisakaza, sicela udalule umthombo wayo. 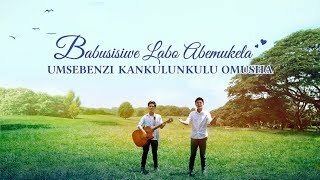 Ngaphandle kwemvume yeBandla likaNkulunkulu uSomandla, akukho nhlangano, namaqembu omphakathi noma umuntu ongalimaza noma ashitshe okuqukethwe kule vidiyo.